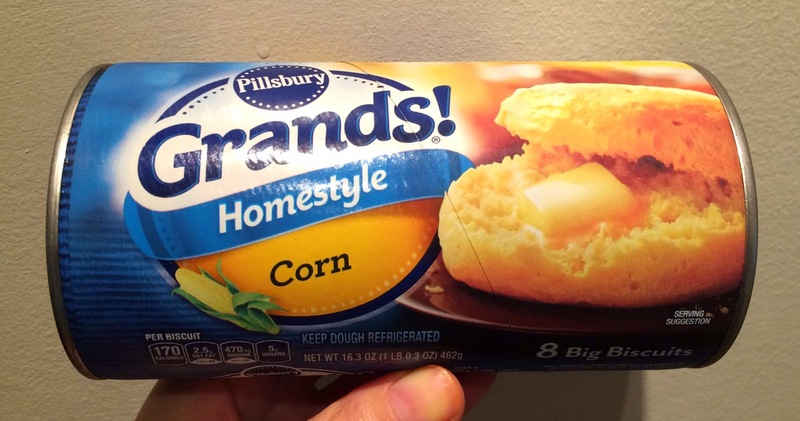 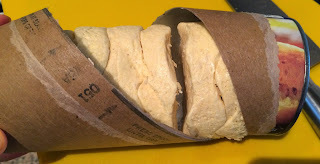 I saw Pillsbury has corn biscuits online and I was looking for this in NYC but I never found it. 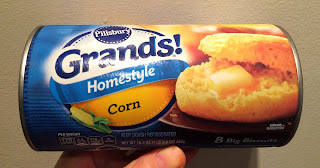 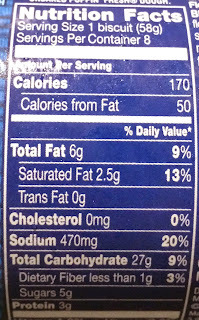 However, in a supermarket in Connecticut had almost every single kind and I got a package of Pillsbury Grands! 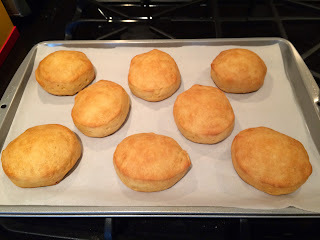 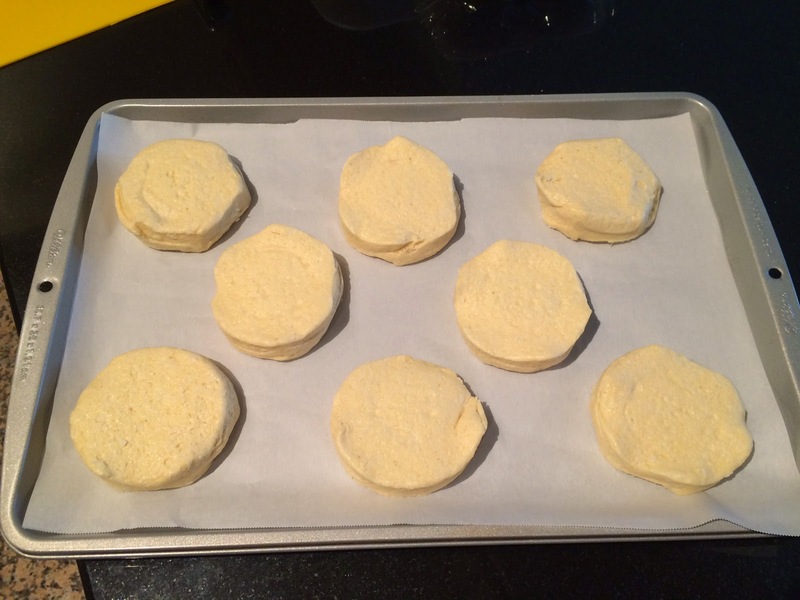 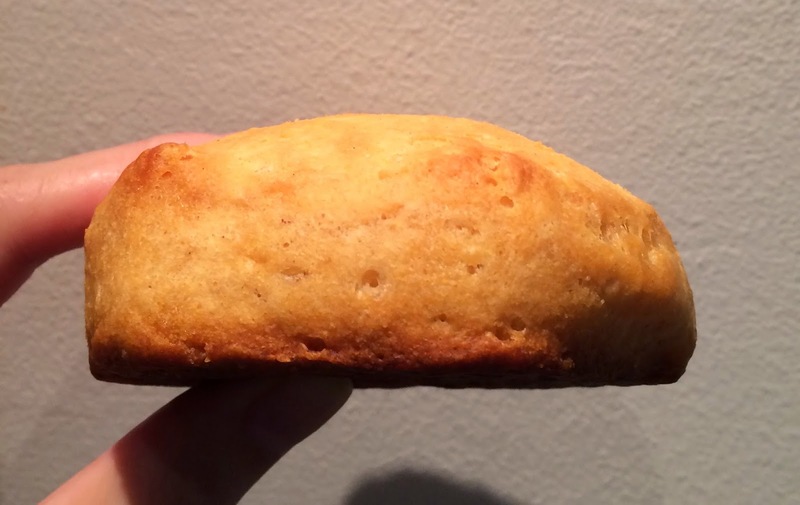 Homestyle Corn Biscuits to try. 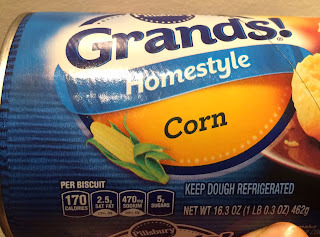 Under "Corn," there's a drawing of corn with leaves on. 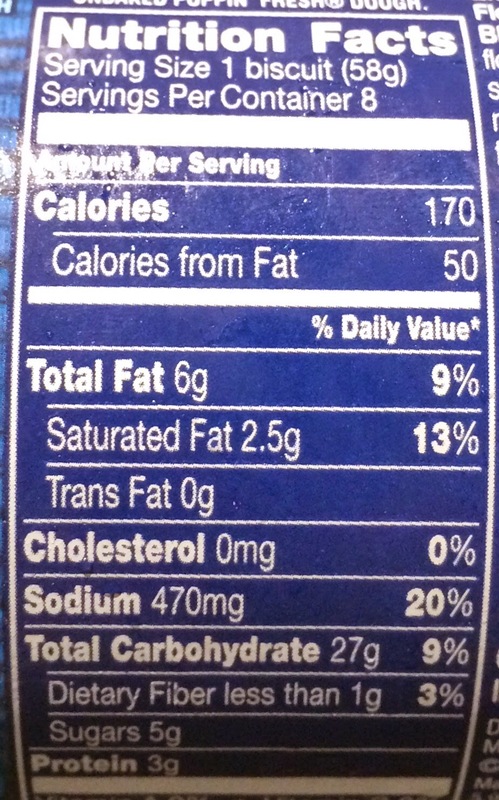 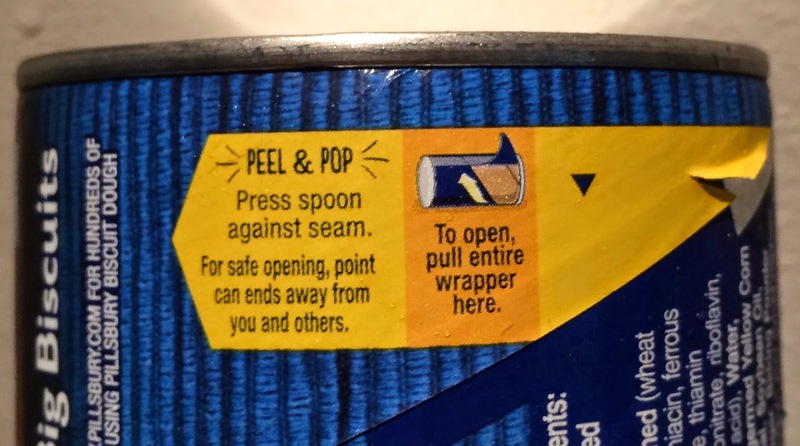 I peeled off the blue paper. 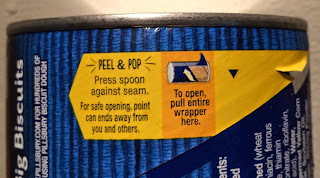 I used a handle of a knife though the direction said to use a spoon. 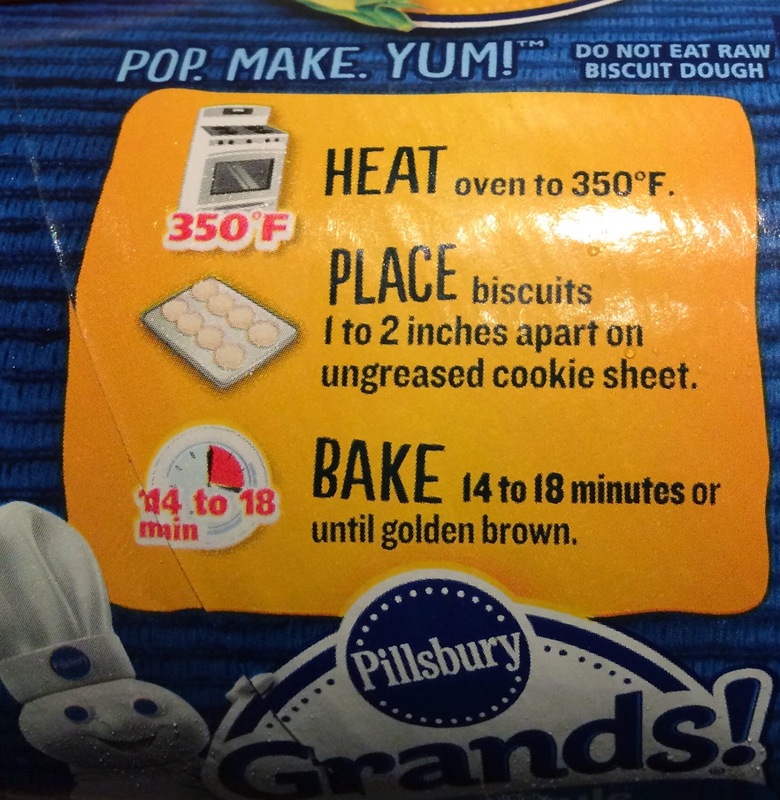 I placed them barely 2 inches (5cm) apart, but as it'd just rise tall, I wasn't worried about. 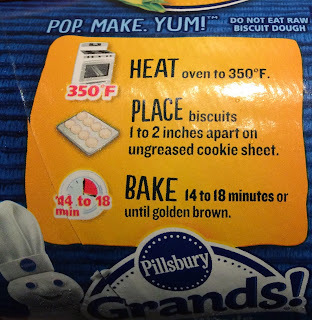 I always bake for the shortest period written on the package to avoid overcook and burn, but 14 minutes wasn't enough so I added another 2 minutes. 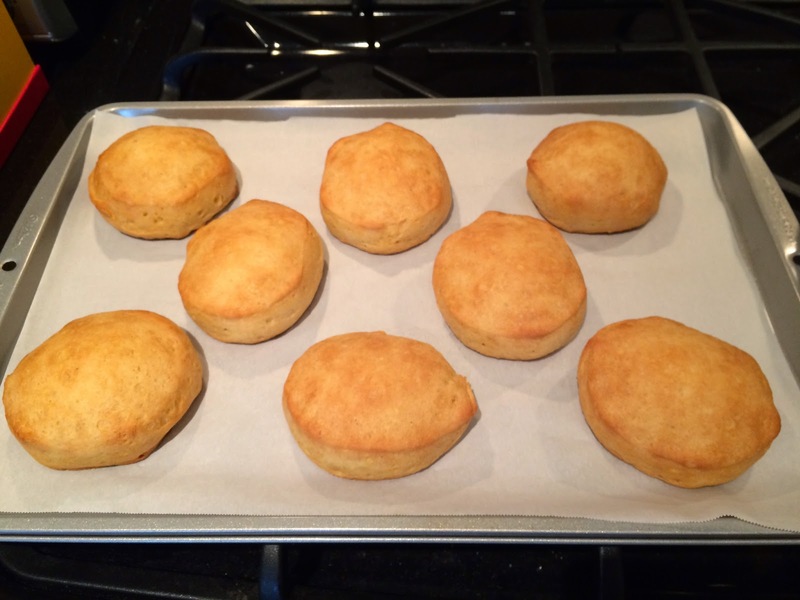 They came out great and no biscuits were stuck together. It had sweeter scent than Flaky Layers Original Reduced Fat Biscuits, and when I bit, I tasted some sweet corn and some yellowish spots inside. 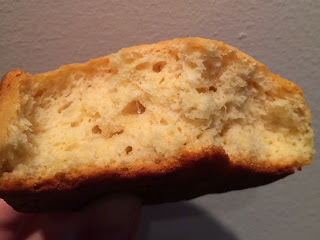 The bottom was the crispiest and the inside was moist and soft. 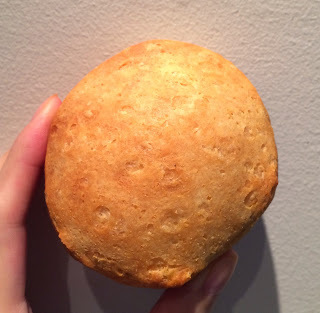 It had a light saltiness but it's not too intense like Flaky Layers Original Reduced Fat Biscuits and I really enjoyed this biscuit and ended up eating 3 pieces right away.